A member of the team building the iconic Mersey Gateway Bridge has won a prestigious national environmental award. Victoria Pollard, Environment Manager at Merseylink, the company building the new bridge, was named the BIG Biodiversity Champion 2017 at a ceremony in London on Thursday night, beating strong competition from around the UK. Victoria won the award for her work revitalising the saltmarsh and estuary around the Mersey Gateway project site, but said it recognised the efforts of the entire team. “Our work to revitalise the estuary has involved introducing a small herd of grazing cattle to the saltmarsh,” she said. “This helped encourage the growth of grasses, which in turn attracted insects, which helped attract birds back to the area. “It’s a great example of how a small change at the base of an ecological system can have a positive effect on the whole environment. Hugh O’Connor, General Manager of Merseylink, said the whole team was delighted at Victoria’s achievement, which comes so close to the project winning a national CIEEM award recognising excellence in stakeholder management in relation to ecological management. “While we have been focusing on the safe delivery of the construction side of the project and getting the 9.2km of road network and cable stay bridge finished as quickly as we can, it’s important to remember the other elements of our work, that are less visible, but no less important. We are delighted that Victoria has won this award for the project in recognition of her considerable efforts,” he said. 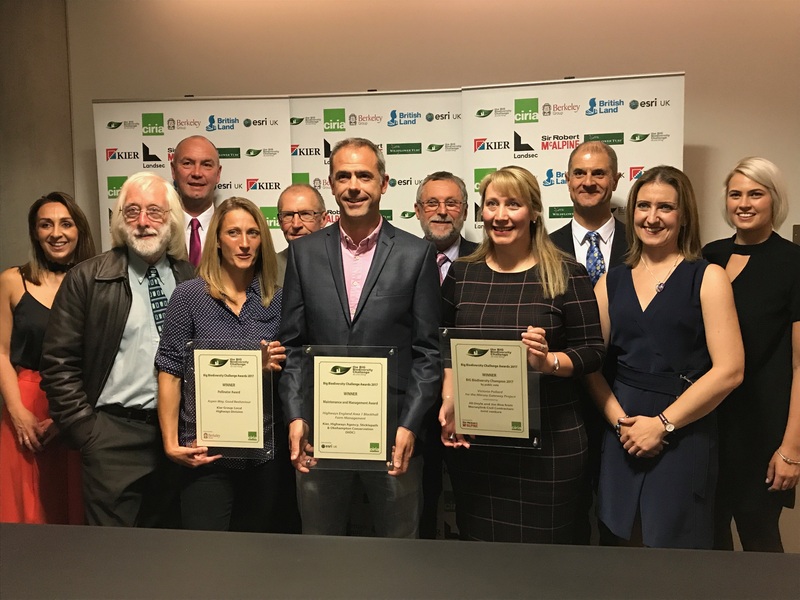 Cllr Rob Polhill, Leader of Halton Borough Council, said: “This is more great news from the project and is our second national environment-focused award in as many months. The awards are organised by CIRIA, the construction industry research and information association, a non-profit organisation which works to improve the construction industry. The Mersey Gateway Environmental Trust (MGET) is an independent Charitable Trust set up in 2010 to promote the conservation, protection and improvement of the environment across a 1600-hectare area of the Upper Mersey Estuary running all the way from the Mersey Gateway Bridge up river as far as Warrington. The Trust aims to create a new 28.5 hectare nature reserve around the bridge.